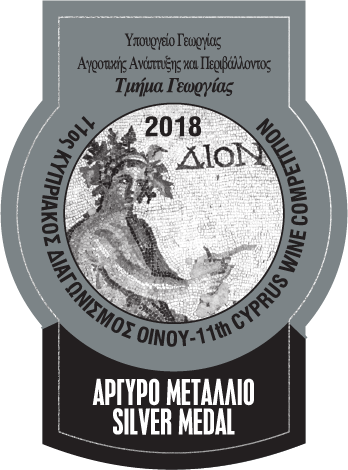 The varietal character of the “Xinisteri 2017” is attributable to the careful and selective grading of the vineyards, the relatively short cryomaceration times, low fermentation temperatures and selected yeast strains. It is characterized by a bright, light golden-yellow colour with shades of green and is complemented by the elegant fragrance of exotic fruits and citrus, coupled with the calming aroma and flavour of white flowers. Striking a delicate balance between its sharpness and velvety texture, it has a lingering and expressive aftertaste. As a prominent native variety, it fittingly reveals, preserves and accentuates its authentic Cypriot identity. “Xinisteri 2017” combines well with fresh seafood or fish, but is equally as appealing without any food accompaniment. Ιt is recommended that it be served at temperatures of 8-10ºC, within two years.